The new three-cylinder 1.4 TDI engine belongs to the EA288 series. It moved out the 1.2-liter 3-cylinder EA189 engine. But it also able to replace some versions of the four-cylinder such as the 1.6 TDI. The 1.4 TDI uses four-cylinder engine components reconfigured for the three-cylinder layout. 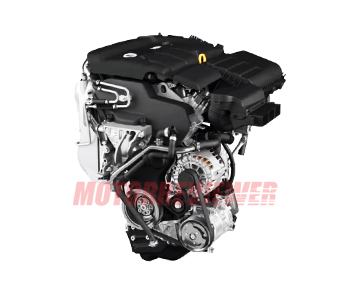 That is the example of the new VW development system - modular diesel engine or MDB. The crankcase or cylinder block is made of gravity-die-cast AlSiCu3 alloy for weight reduction. The new material allowed reducing the weight by 11 kg compared the previous 1.2l TDI engine. It also almost 27 kg lighter than the 1.6 TDI. The engine has balancing shaft, which driven by a single speed 1:1 gear in the opposite direction to the crankshaft. The increased displacement was achieved by increasing the stroke from 80.5 mm up to 95.5 mm (the same as the 2.0-liter four-cylinder TDI engine). The cylinder head has the same design as 4-cylinder MDB engines: four valves per cylinder, double overhead camshafts (DOHC). The engine also has the water-cooled intercooler, catalyst converter, DFP, dual-circuit exhaust gas recirculation (low-pressure and high-pressure EGR) and the injection system called DFS 1.20 produced by Delphi. The issues and problems are the same as four-cylinder EA288 engines have. This engine produces more vibrations due to the three-cylinder layout. Also, the aluminum crankcase is not repairable as cast iron crankcases.